The Gràcia neighbourhood has an undeniable “small town” feel although it is a rather big melting pot of bohemian lifestyle and hippy culture. There is one thing that really comes to mind when you think of Gràcia and that is plazas, there is an abundance in this neighbourhood. Plaça del Sol is the most central square in the neighbourhood, where you will find a bohemian vibe, street artists, musicians, along with many trendy and lively bars. 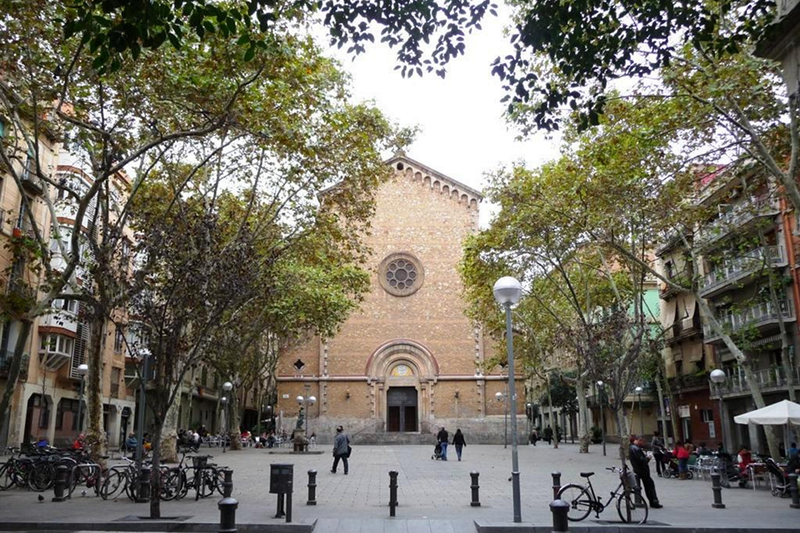 It was built in 1840 when Gràcia was an independent town from Barcelona. 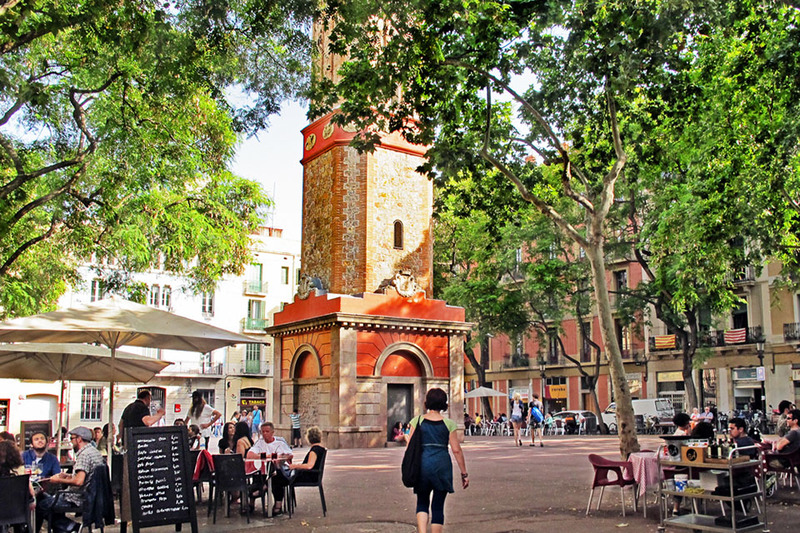 Then there is Plaça de la Vila de Gràcia, the more family-friendly square with a distinct striking clock tower in the middle and also makes a nice spot for a bite to eat and you can get delicious natural ice-cream at Ottimo Gelats At Plaça de la Virreina the square hosts a plethora of outdoor cafés. 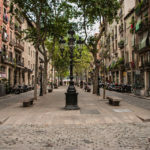 It is easy to get lost in this neighbourhood even for some of the locals here in Barcelona, with all the narrow roads and all too familiar squares but it is, of course, all a part of the charm. Dense is a word that really sums up this barrio, there are excellent boutique stores, vintage gems, galleries, bars and markets, did we miss anything? Probably! If you love hot chocolate, we suggest you head to La Nena, a chocolateria where you’ll be able to taste one of the best hot chocolates in town. When it comes to food we recommend you take a walk around as you will great restaurants with all types of cuisine. The big cinema with films in English is also on this street. The area has quite a reputation for vermouth, with lots of vermuterias (vermouth bars) offering aperitifs along with tapas. 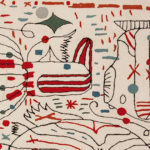 Our favourites include Lo Pinyol and Vermutaria del Tano but we are sure there are many that we haven’t unearthed yet. 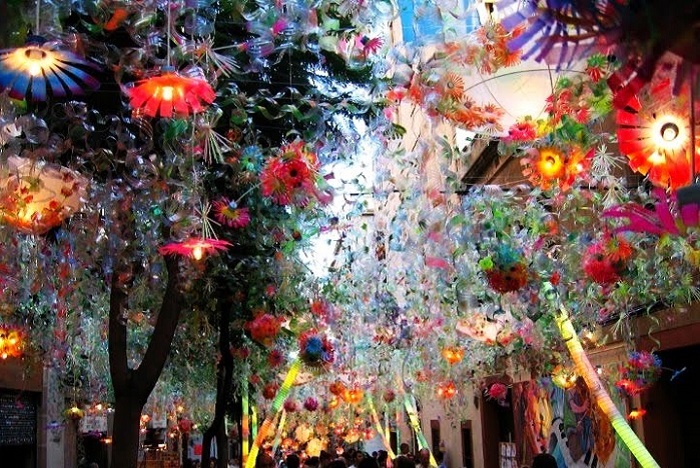 One of the most popular highlights of the neighbourhood is the week-long festival of Festa de Gracia. During the third week of August, there is live music, drink and food stalls all over the district for Barcelona’s and Catalonia’s biggest street festival. The neighbourhood residents spend weeks and even months decorating the streets with elaborate lights, statues and just about everything imaginable to transform the streets into another world. Definitely worth visiting this neighbourhood whilst visiting the city.